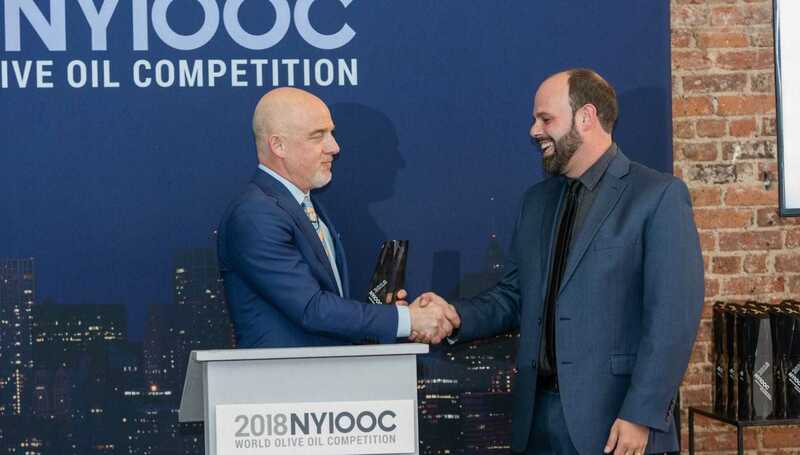 Greek producers earned more awards at the 2018 NYIOOC World Olive Oil Competition than ever before. Elias Zarkadoulas, Diamantis Pierrakos and Dino Pierrakos accept a Gold Award . The world of olive oil watched the NYIOOC press conference last week when the winners of all the categories were announced. Among the 1,000 competitors from 27 countries, there were 155 from Greece to compete in the most renowned annual olive oil competition. The results showed that their dedication and labor all year long to produce high-quality olive oil paid off, as they got away with 31 gold and 23 silver awards, setting a country record in the competition both in the number of Gold Awards and the overall wins. Their anxiety and intense feelings were obvious during the event. Getting their NYIOOC awards was the culmination of their efforts and they were bursting with excitement when they spoke to Olive Oil Times about their success. One Greek company excelled in the competition with a wondrous collection of four Gold and one Silver Award. Papadopoulos Olive Oil Mill won two Gold Awards for their Omphacium made from robust Olympia and organic Omphacium from medium Olympia, and two more for Mythocia Chef’s Exclusive and Mythocia Olympia from medium blends. The Silver Award was earned for their organic Mythocia Olympia. Konstantin Nikolas Kokkolis whose of Antheion won a Gold Award for their extra virgin from a delicate Koroneiki was very enthusiastic about his prize and his home place in the Ionian Sea: “I am extremely excited and honored to be the recipient of a gold award at the NYIOOC. This not only elevates my brand, but it also raises the recognition of my island, Kefalonia, which I’m deeply proud of,” he said. Apart from personal satisfaction, it also seems that his win was a boost for others to enter the world of quality EVOO. Kokkolis noted that it has inspired many other olive growers and producers in Kefalonia “to up their game” and, with the recent opening of the Kefalonia Olive Mill, to join in the effort to make world-class EVOO. 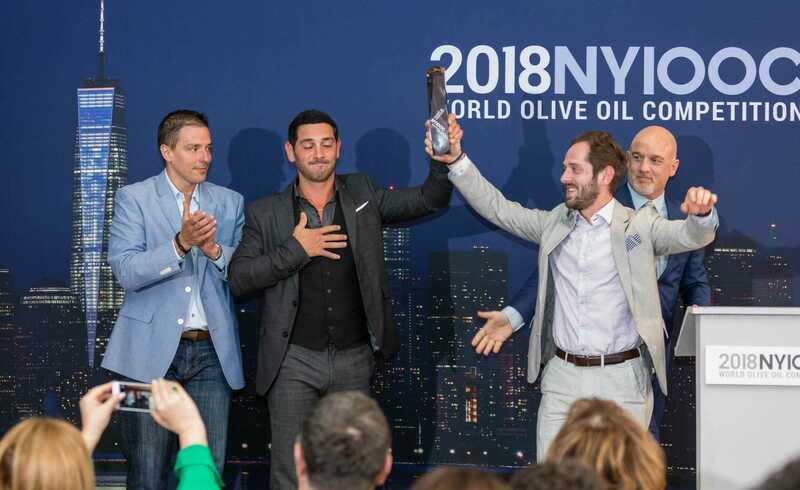 “I would like to thank Curtis Cord and everyone at Olive Oil Times for giving my brand, Antheion, and my island, Kefalonia, a stage from which to shine,” Kokkolis added. Another company from Greece that left New York with a Gold Award was E-La-Won with its Green Fresh early harvested olive oil from the Athinolia variety. Olive oil was the largest Greek agri-food export last year and the fourth-largest export overall, according to a new report. Its success has renewed the call from farmers for government backing. The small quantity of olive oil that was produced in Crete remains idle since there is no demand from buyers abroad. Producers are demanding compensation. After a bad harvest, olive farmers and oil producers may not be able to receive compensation. However, small producers have a chance to shine in a depleted field of competitors.